Are you a shortwave radio listener (SWL) in need of an up to date set of schedules for international broadcast stations? 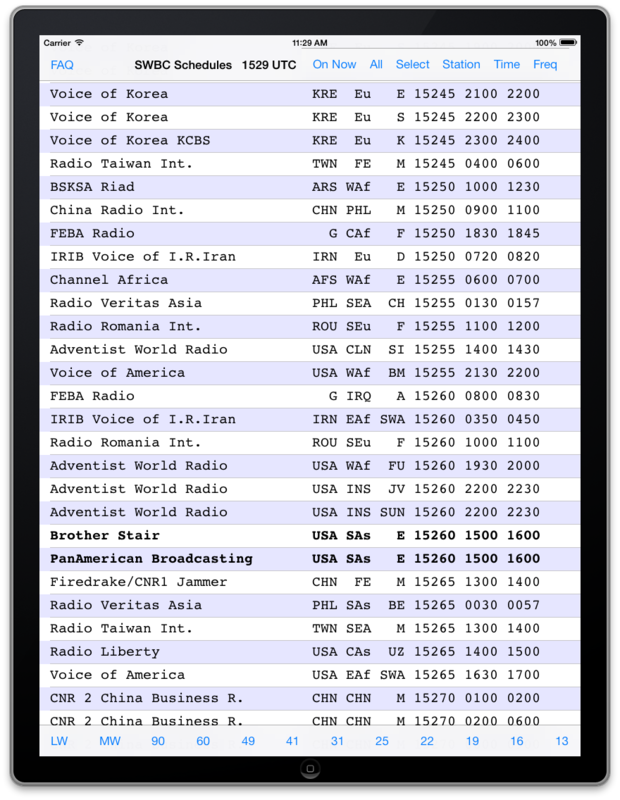 Shortwave Broadcast Schedules is a handy app that displays broadcast schedules of over 10,000 longwave, mediumwave, and shortwave broadcast stations. The stations are initially listed in order by frequency. 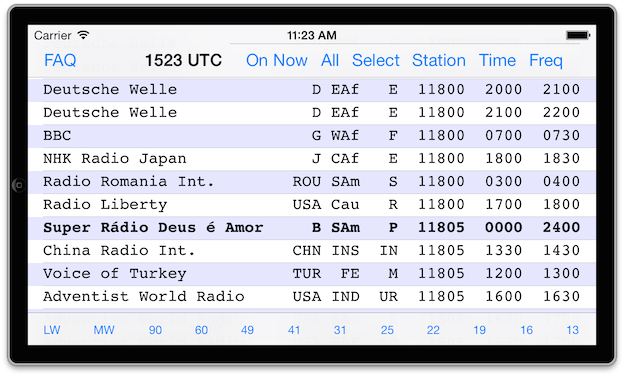 You can tap a button to see which stations are on the air right now, as well as search for stations by name, frequency, time of day that they are on, or country. You can keep track of favorite broadcasts, as well as set reminders. Get your copy of Shortwave Broadcast Schedules, and never miss another of your favorite stations again. Visit the SWBC FAQ page for full details on how to use the app.